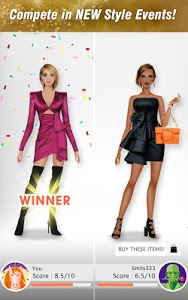 ?It’s time to fill up your studio wardrobe with gorgeous outfits and accessories, such as bags and jewelry, and put together different looks to become the fashion icon of the century. ?Put up your own show! 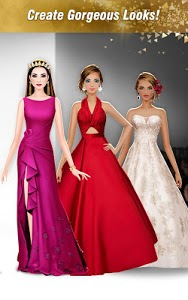 Choose from the new range of ravishing evening gowns, stunning party dresses, fabulous shoes, classy bags, attractive accessories and complete the look with our all new fancy hairstyles! 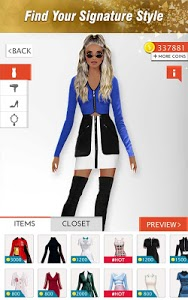 - Introducing collections by trendsetting brands - DYNAMITE, NAKED ZEBRA & GARAGE! - Style away with over 80 NEW tops & bottoms. Plus 65 FRESH & TRENDY dresses! - Over 30 CHIC accessories and shoes to take your look to the next level! - Featuring a brand new range of ULTRA GLAM swimwear! - Added languages for our players in Russia & Turkey! Similar to "International Fashion Stylist: Model Design Studio"